Home / News / Organisations / Green Arts Competition: Win £50 Towards your Green Work! 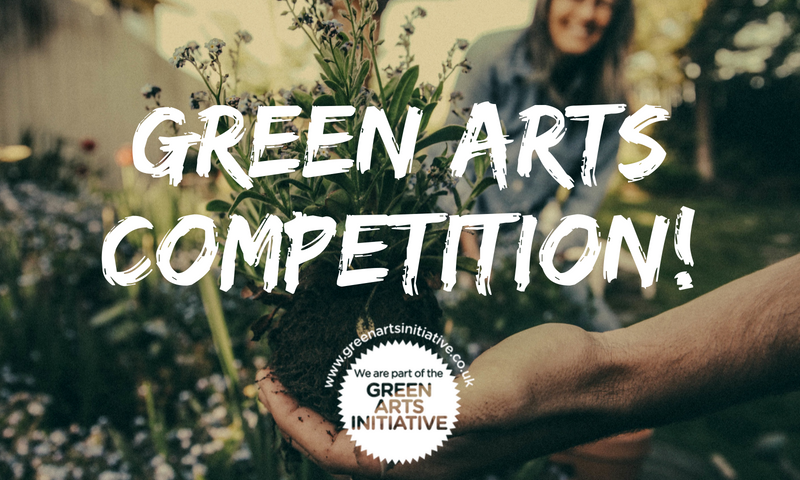 Green Arts Competition: Win £50 Towards your Green Work! What could your Green Team do with £50? We're running a competition for Green Arts Initiative members! Submit your idea now. Earlier this year, Creative Carbon Scotland was a runner-up in the Sustrans Scotland ‘ Scottish Workplace Journey Challenge‘, coming joint-1st in the category of organisations with less than 20 employees. As well as a now-proudly-displayed certificate, we also won the opportunity to donate £50 to a charity of our choice! We discussed it as team, and decided we wanted to use the donation to help support the sustainability work of the cultural sector. Now we’re on the hunt for the best sustainability idea from our Green Arts community. We’re running a competition over the course of July 2018: any Green Champion can submit an idea, and we’ll pick a winner to announce at the end of the month! We know £50 might not cover the costs of all your sustainability ambitions, but we hope it’ll help you get the ball rolling on something you’ve been planning for a while. Perhaps you want to invest in new recycling incentives; reward your green team with some sustainable treats; switch to recycled paper for your next promotional campaign; or buy lockers or puncture repair kits to support your staff using active travel to get to work. Anything goes, as long as it contributes to your environmental sustainability efforts! Submit your idea by midnight on Friday 27th July 2018. Keep it simple: try to keep your idea to three sentences or less. Your organisation has to be a Scottish-based cultural organisation, and a member of the Green Arts Initiative (join, if you’re not already a member!). You can submit as many ideas as you want, and different people from the same organisation can submit different ideas. It can contribute to an existing sustainability project, act as seed-funding for something new, or cover the costs of something small. The winning idea will be selected by the Creative Carbon Scotland team for its creativity/originality/effectiveness/quality. We’ll share our favourite ideas on our website, through our social media, and in our monthly Green Arts Round-Up to members. 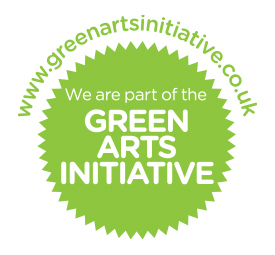 The Green Arts Initiative is a networked community of practice, made up of over 200 cultural organisations in Scotland committed to reducing their environmental impact. Free to join, the community is working on everything from reducing their carbon emissions, to engaging staff, to producing artistic work that tackles climate change head-on. Find out more (and join!) on our Green Arts Initiative project page.